17 September 2013. 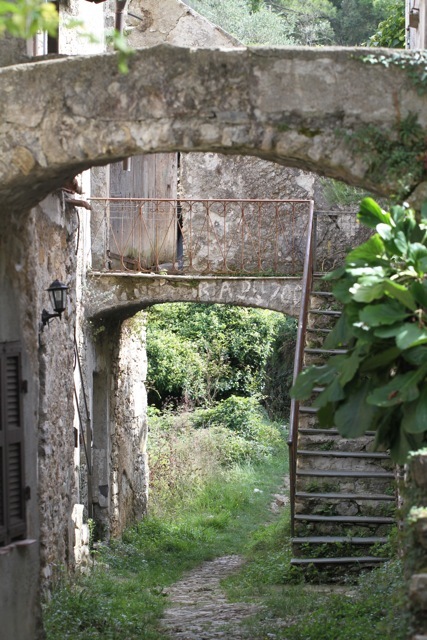 Still in Liguria, Italy, shortly before arrival in the abandoned village Bussare. 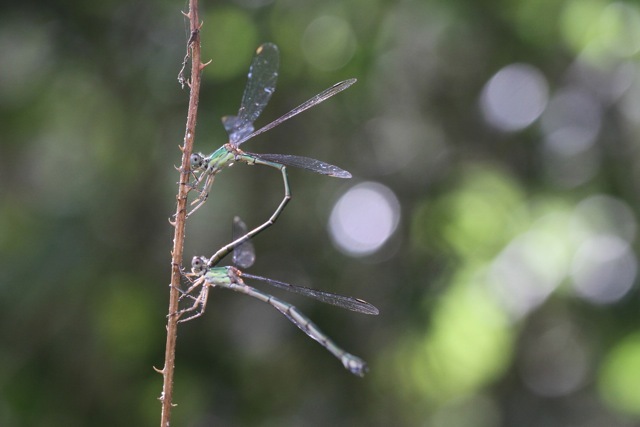 Two damselflies of the Lestidae family making a heart-shaped figure for mating. We arrive at Bussare. The streets still have names. In the middle is a small square, with a sign Piazza Cavour, honouring a nineteenth century politician. However, now, in the twenty-first century, I don’t see any human living here. However, I do see butterflies. 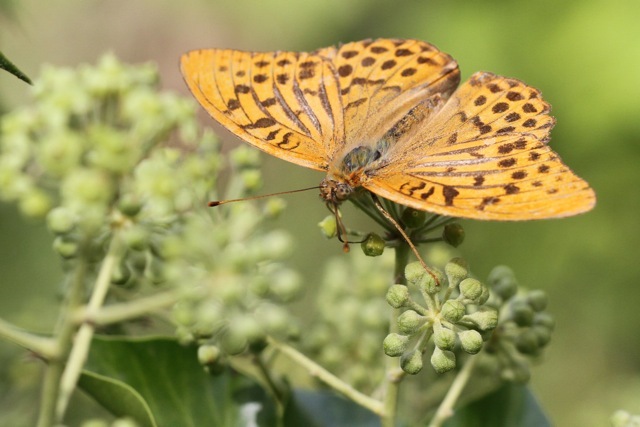 Like a male silver-washed fritillary butterfly. 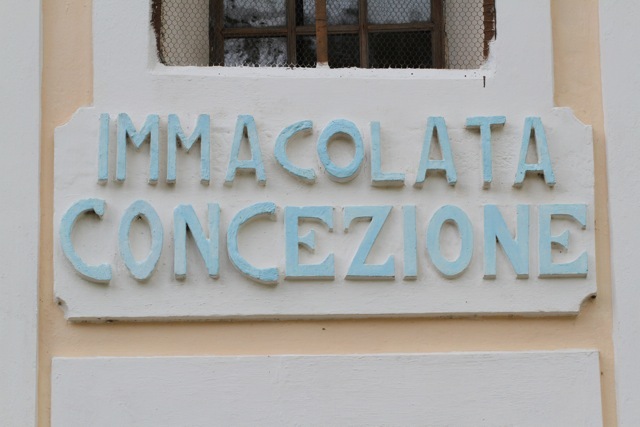 The Roman Catholic church building’s name, “Immaculate Conception“, is still there. Now, however, accompanied by another sign: “For sale”. 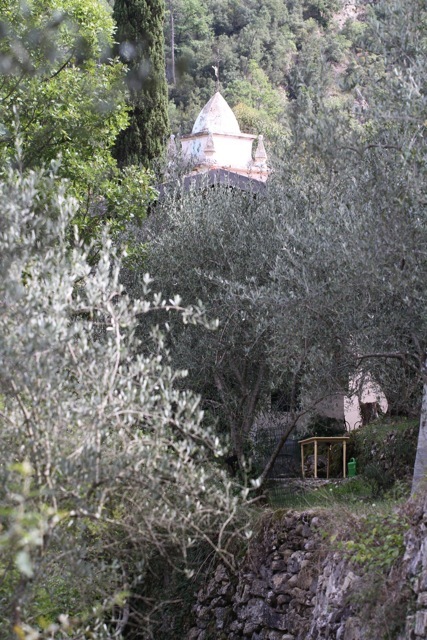 We walk back, past Bussare. 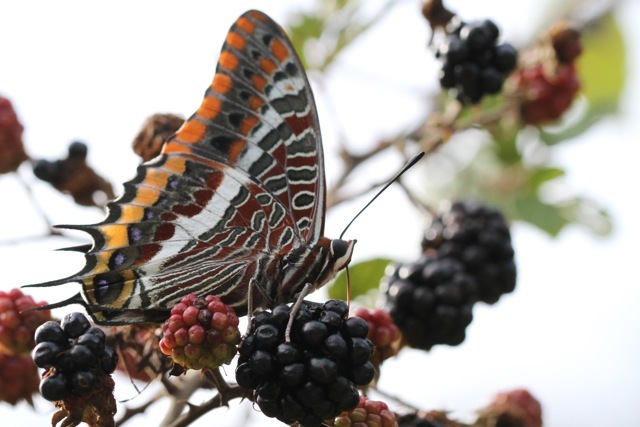 On a blackberry bush, another beautiful butterfly, one of the biggest species in Europe: a two-tailed pasha. We go back to the bridge. Now, a hummingbird hawk-moth feeding at the butterfly-bush.